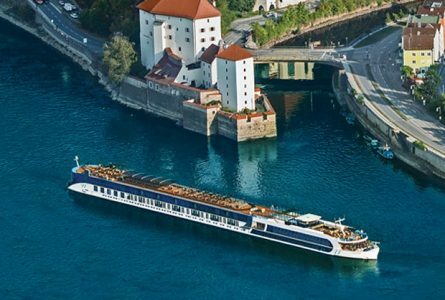 Teplis has added Signature Collection Hosted sailings for the 2017 AMA Waterways longboat cruises. An AMA Waterways river cruise is about more than the destination – it’s the journey. Discover local culture and sights on included tours, and then hopback on your luxurious river cruise ship and sail to the next stunning city or charming town. Included in the fares of these delightful cruises are shore excursions in every port of call; all dining on board (including The Chef’s Table specialty restaurant); fine wine, beer and soft drinks with lunch and dinner; internet access and Wi-Fi; and bicycles that you can use to explore on your own or join our guided bike tours. There are music-themed Danube river cruises, and a Christmas cruise down the Rhine. We also offer river cruises in France and Portugal. AMAWaterways ships just won the top ten spots in the Second Annual Berlitz: River Cruising in Europe travel guide. Out of 310 river vessels, their ships outranked the competition in the categories of accommodations, facilities, cuisine and hospitality. Our Signature affiliation offers the following exclusive amenities: Private Welcome Cocktail Reception, Signature Travel Network Host to ensure that our guests have a wonderful cruise vacation, and a Shore Excursion in one of the ports visited, exclusively for Signatures guests*. With this great track record and the addition of this new hosted program, now is a great time to book your first river cruise. Call Susan in our leisure department at (678) 420-2510 | Toll-Free: (800) 950-2950 or E-mail: vacations@teplis.com to find the cruise that’s right for you.